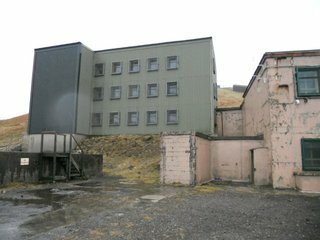 Former RAF Saxa Vord, Shetland (c) 2012 SVA Property Auctions. On page 32 of the Unique Property Manual (Click Here) we have a line drawn diagram of the ‘standard’ underground United Kingdom Warning & Monitoring Organisation Nuclear Bunker (UKWMO). These small subterranean nuclear bunker outposts criss-crossed the UK in the event of the unthinkable. On melting of the Cold War they became redundant and were sold off. Typically for £3,000 to £8,000 each. Many have gone on to become unique properties, or part of unusual builds in their own right. For several months we have been looking out for one of these to feature in the Bulletin. Fortunately for some lucky person, this week comes something in the same style but much much larger. 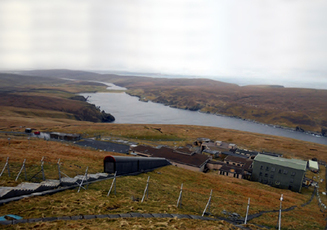 This former RAF Station at Saxa Vord on the Shetland Islands is about as remote as most people could get. It also has the nuclear bunker. 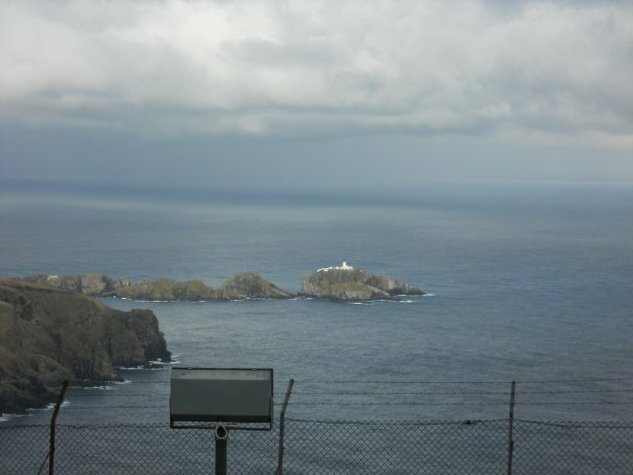 The northern isle of Unst is closer to the Arctic Circle than it is to Leeds. Closer to Iceland than London! STOP PRESS: The guys over at the excellent 28 Days Later and also Secret Scotland websites have unearthed some fantastic photos of what the classic golf ball style Radome used to look like on this site that is due for auction …. P.S. Depending on which operating system your computer uses, you may need to click on the red Refresh word to access the 28 Days Later website. 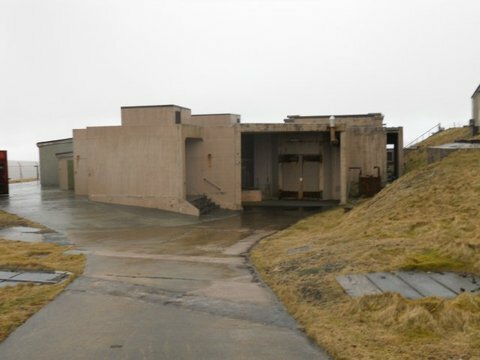 One of several ex-RAF buildings at Saxa Vord (c) 2012 SVA Property Auctions. Top Secret ? Guess What This Building Is ? (c) 2012 SVA Property Auctions. All on a sloping site with wonderful views. Life After Nuclear ? Moody View From RAF Saxa Vord (c) 2012 SVA Property Auctions. SVA, one of the premier auctioneers in Scotland, and the organisation selling Saxa Vord have been diplomatic about the guide price and anticipated selling figure for this marvellous lump of unique property. The price is quoted as “nominal”. That might mean anything. Recently another RAF base was sold off at a “nominal” price of one pound. That is HIGHLY UNLIKELY here, but who knows what price will be accepted on the day of the auction? What would you pay for these buildings? What would you do with them? In all approximately 5,400 square feet? The location whilst remote has some pretty spectacular views. Guide: “Nominal”. Sale By Auction 27th June 2012. Contact SVA Property Auctions: 0131 624 6640. The Grapes Public House & Home (c) 2012 Roy Pugh Auctioneers. For the price of a flat, you can buy a whole lump of commercial property AND a home to live in! This former public house is going for a financial song. Why is it unique though? Many years ago, we discovered unique doesn’t just mean very unusual buildings like nuclear bunkers at the top of this page. From experience, unique can also include what might be described as “mildly unusual” building such as a former public house, but with an added extra element, the commercial part, virtually free. That in, and of itself can lead to, and support a “unique” lifestyle. Indeed one of the properties our merry band here bought was a former public house with a home on top, and proved, at least to ourselves, the value of a unique lifestyle to complement the unique type of building any given individual might choose to call home. Part of the old closed pub we bought was converted to a coffee bar, and part to an internet cafe …. So for little money, an unusual home was purchased, plus a lifestyle with quality about it in the form of a modest internet cafe. For good measure, the old pub was turned into a coffee bar, and that added what is a vital ingredient to so many folk who have the internet as such a large part of their lives. The social interaction within the coffee shop was excellent, and truly balanced the often isolated nature of clunking the keys of your laptop or PC on your own in the quiet home-office if the internet forms part of your work-life. Unique lifestyle – worth thinking about ? Bar / Lounge 49.56 sq m (533 sq ft). Toilets 12.60 sq m (136 sq ft). Entrance Porch 1. 50 sq m (16 sq ft). Games Room 9.62 sq m (104 sq ft). Kitchen / Utility Room 5.74 sq m (62 sq ft). Lounge, Kitchen, Bathroom, Two Bedrooms. 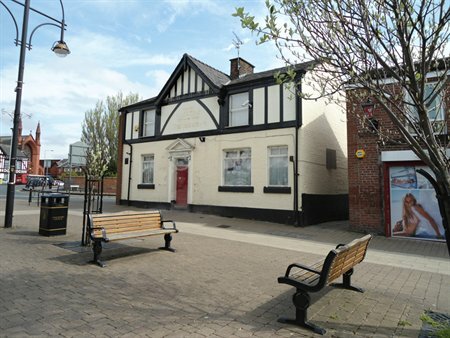 The Grapes, 1C Castle Street, Edgeley, Stockport, SK3 9AB., FAILED TO SELL at auction on 31st May 2012. Forgive the bad pun, but these grapes are NOW very ripe for a bargain post-auction offer. Pick yourself something nice, fresh from the property vine ! Guide: £55,000 to £75,000. Maybe worth a cheeky £45,000 offer, but make sure you conduct your due diligence on the property first as auction terms usually apply even for a post-auction sale. Contact Pugh Auctioneers: 0844 2 722444. Former Seminary (c) 2012 Gasgoigne Halman. This is a handsome four bedroom former seminary, with an attached one bedroom apartment, and a separate two bedroom lodge with a further 1 bedroom garden flat. Unusual buildings aplenty of building to play with. All set in a spacious five acres of land. 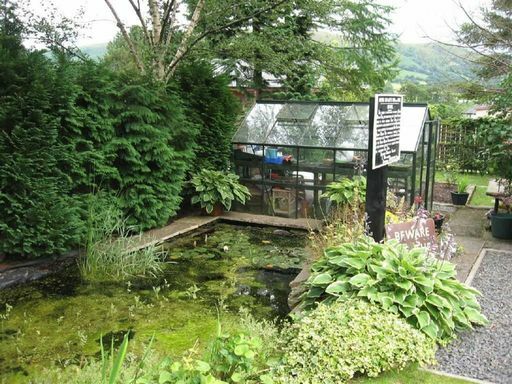 Moorfield House is situated at Glossop, Derbyshire, SK13 7PP. Originally built in 1861 by the local mill owner, Daniel Hill-Wood. 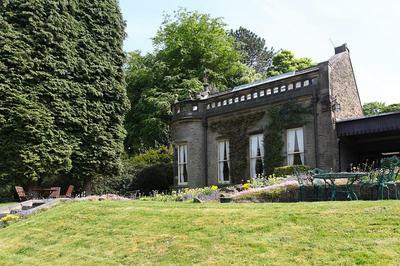 Subsequently it was the home of Sir Samuel Hill-Wood, the noted athlete and, for some years, MP for the High Peak division of Derbyshire. In the twentieth century the property had a more varied history, being used as a military hospital during World War 1 and subsequently as a Roman Catholic Seminary. An extensive fire in 1935 led to the house being remodelled to comprise the property that is seen today. This impressive home retains many original features and is a fine example of mid-Victorian architecture which has been lovingly and beautifully maintained and improved by the current owners. Interior – Moorfield House (c) 2012 Gasgoigne Halman. The main house comprises a good range of reception rooms, four bedrooms (1 en suite) and a family shower room. The attached Billiard Room currently provides self contained accommodation but could easily be incorporated into the main house. There is a large loft area and an extensive range of cellars offering approximately 2500 sq ft of further space which could be converted and utilised as further accommodation (subject to obtaining the necessary planning and building regulation consents). Ideal for those with a growing family or from a commercial perspective. Fine gardens abound, along with evergreen trees and two small lakes. Larger lakes are of course within proximity, with Moorfield House being situated sits within the Peak District National Park. 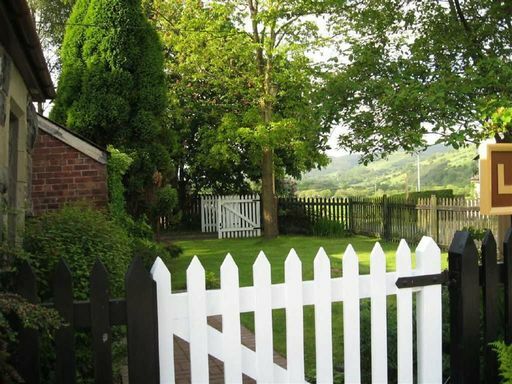 In addition to Moorfield House is Moorfield Lodge with self contained holiday accommodation. Moorfield House Lodge (c) 2012 Gasgoigne Halman. Contact Gasgoigne Halman: 0161 427 2488. Saint Aelrhiw Church (c) 2012 Beresford Adams. 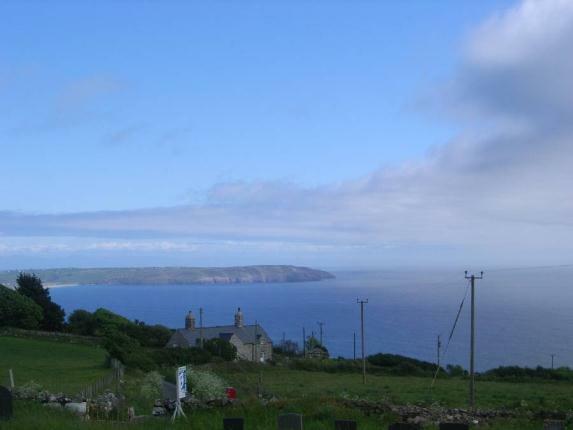 An historic stone built with slate roofed church in a magnificent hillside position in the heart of the Llyn Peninsula enjoying panoramic views across the Peninsula to Cardigan Bay and the Welsh mountain range. 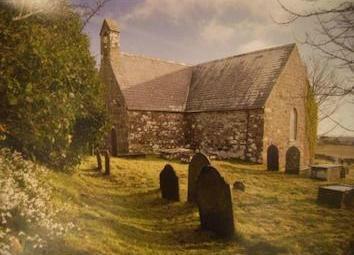 Saint Aelrhiw’s Church is situated at Rhiw, Pwllheli, Gwynedd, LL53 8AD. View From Saint Aelrhiw Church (c) 2012 Beresford Adams. Planning permission was granted by Cyngor Gwynedd Council on the 28th November 2010 for conversion into an art gallery to include a new concrete ground floor, create a mezzanine floor, repairs to slate roof and install new windows. The church will require extensive improvements and is a listed building that offers tremendous potential. 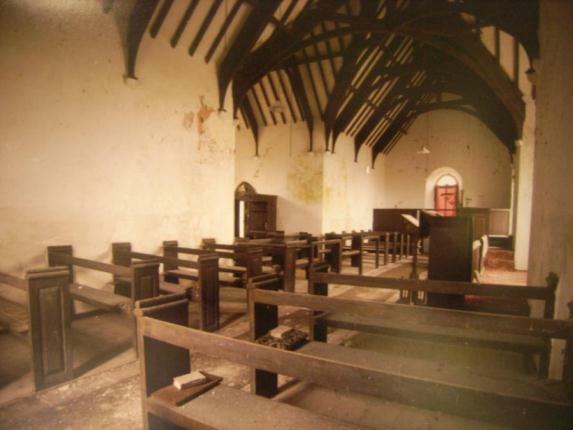 Pre-Refurbishment Interior Of Saint Aelrhiw Church (c) 2012 Beresford Adams. Full detailed plans of the conversion and conditions with colour artist impressions of how the church could look like after the conversion, may be inspected at the agents’ Abersoch Office. It might be an idea to enquire of the local authority whether the planning permission might be capable of amendment to utilise the former church for an art gallery, plus a small and modest residential accommodation for the new owner and art curator. Contact Beresford Adams: Tel 01758 649 057. The Toll House (c) 2012 Miller Countrywide. This former Toll House is detached with 2 bedrooms and priced at a level that will not break the bank. 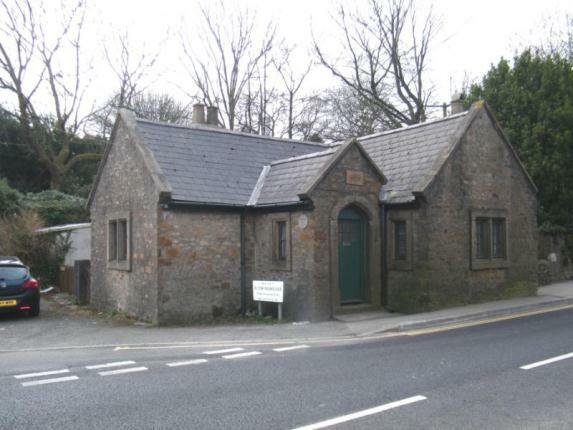 Situated at Blowinghouse, Redruth TR15 3AS, the Toll House dates from 1843 and was rebuilt on the present site in 1864. The property does require some modernisation. Accommodation (dimensions in good faith but not guaranteed). Bedroom One 10′ x 8′ (3.05m x 2.44m). Window to side elevation. Radiator. Bedroom Two 10’6″ x 10′ (3.2m x 3.05m). Window to side elevation. Radiator. Bathroom Obscure windows to side and rear elevation. Panelled bath. Pedestal wash hand basin. Low level WC. Tiled splash back. Radiator. Outside To the rear of the property there is a large patio area giving access to the garage with a further patio area to the side. A range of flower beds. Steps leading up to a woodland garden. Shed. Garage Double doors. Window to side elevation. Contact Miller Countrywide: Tel 01208 530018 or 01209 221010. The Station House (c) 2012 Halls Estate Agency. This former Victorian railway station house comes complete with platform as a feature. 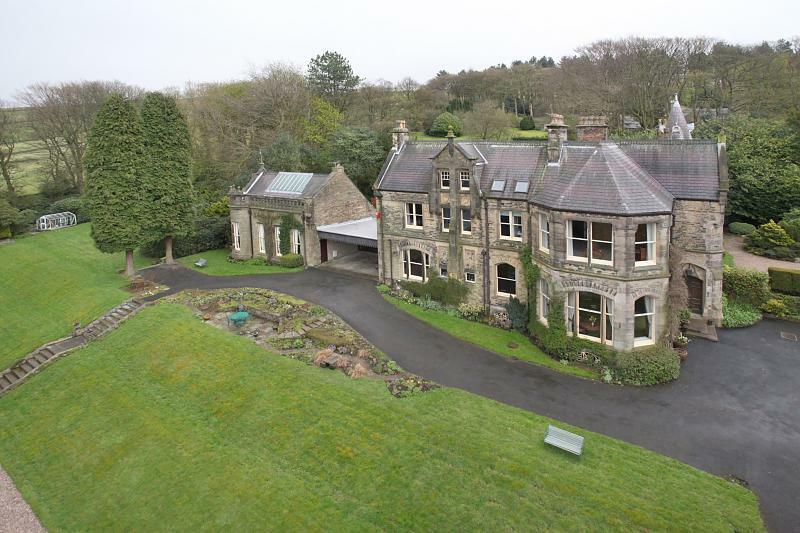 Originally for sale at June 2011 for around £289,950, a year later the price is a tempting £250,000. Station House is located at Llanbrynmair, Powys, SY19 7AA. Station House ceased to be a functioning railway station around 1965 and has since been gently converted into a comfortable family home. 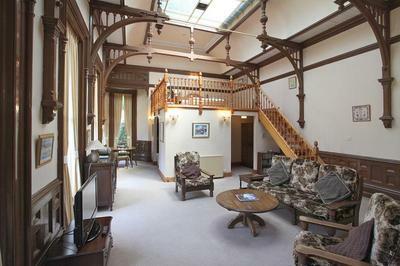 Built in 1861, this Grade II listed property retains many original station features, with the lounge formerly part of the booking office and the old platform at the rear of the house. Station House Garden (c) 2012 Halls Estate Agency. The ground floor accommodation comprises an entrance porch, reception hall, snug/bedroom, combined utility and w.c., fitted kitchen, lounge, study and dining room. Upstairs there is a master bedroom with attractive countryside views, a further bedroom and a fully fitted family bathroom. There is potential to make further bedrooms on the ground floor subject to purchaser’s requirements. Outside the property has parking and a turning space together with attractive front gardens and the feature former station platform to the rear. There are also a number of outbuildings, including two former railway carriages, which now serve as garden storage sheds. Station House enjoys a pleasant village location, nestled in the heart of the Welsh countryside with superb views over the surrounding rolling hills. 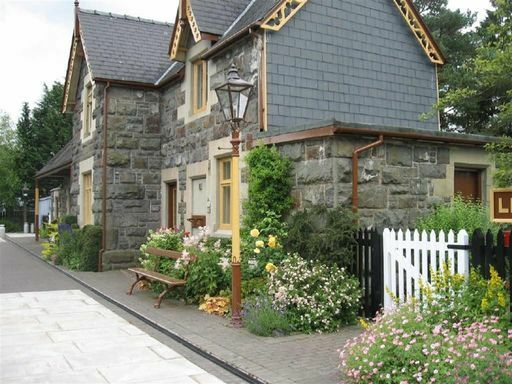 Machynlleth is just 11 miles away and the yachting resort of Aberdovey on the Cambrian Coast is 21 miles to the west. Contact Halls Agency: 01938 555 552. Please note that during June and July 2012 we shall be archiving some of the older Unique Property Bulletin editions to a separate internet section. They will still be fully accessible. We just need to do this as the current website has grown to a size where we need to organize it a little so the computer doesn’t grown too much. To access older Bulletins, please click on the Unique Property Bulletin Archive section.